I’m geeking out, but not on gadgets. 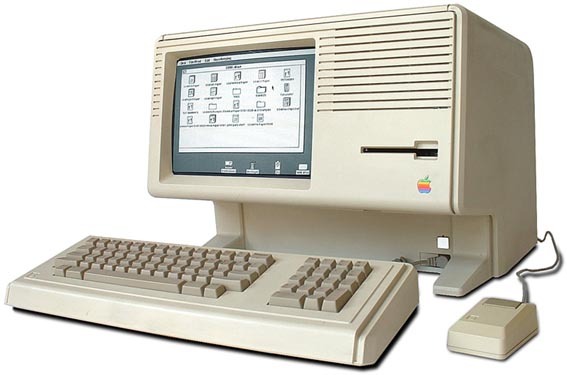 A movie about one of Silicon Valley’s most iconic figures opens today. Although I read his biography, I’m surprisingly not that interested in seeing the movie. I am, however, very interested in writing about the house he grew up in because it had a significant influence on his preference for minimalism and clean aesthetics. If you own any Apple products, you’ll be fascinated by this. 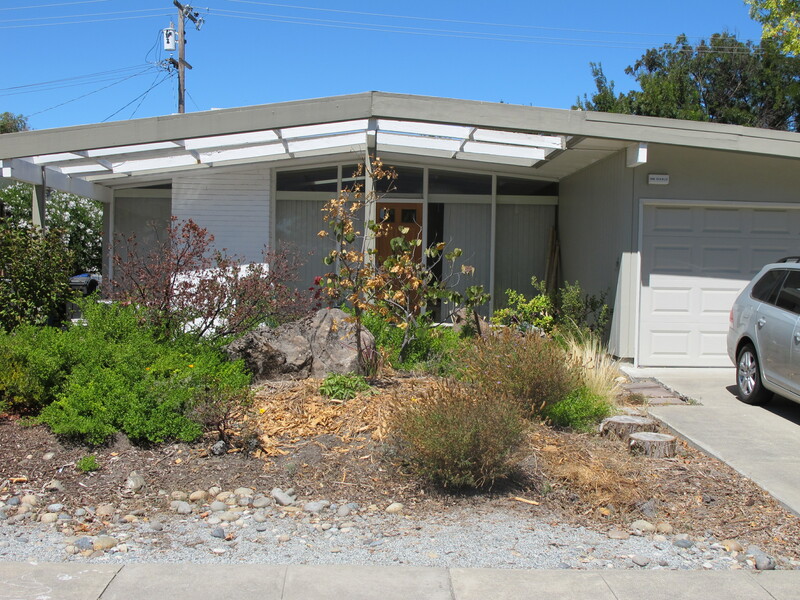 According to county records, Steve Jobs lived in this mid century home from 1959 to 1967. My brother happens to live in the same neighborhood. Naturally, I had to stalk the Jobs childhood compound for the sake of my curiosity and audience. 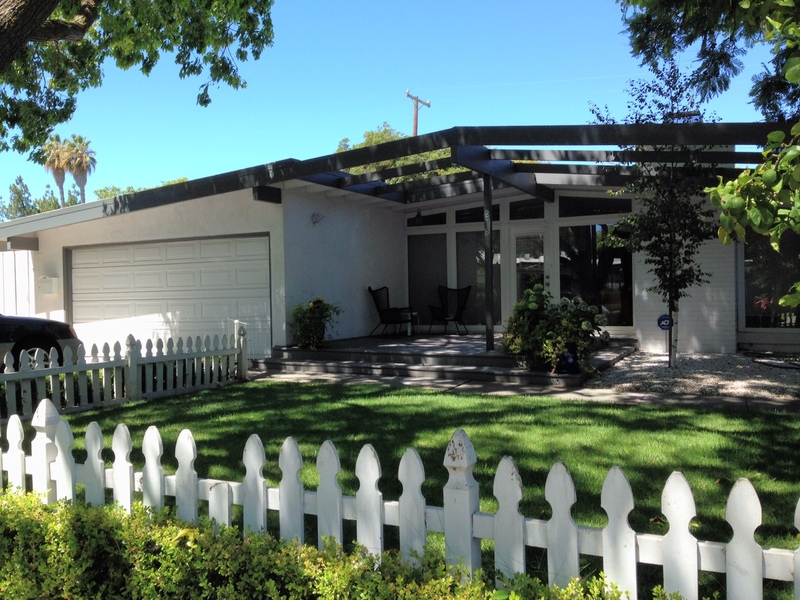 The Monta Loma neighborhood in Mountain View, California, is a subdivision of mid century modern homes that was developed during the 50’s when planned communities made their debuts. 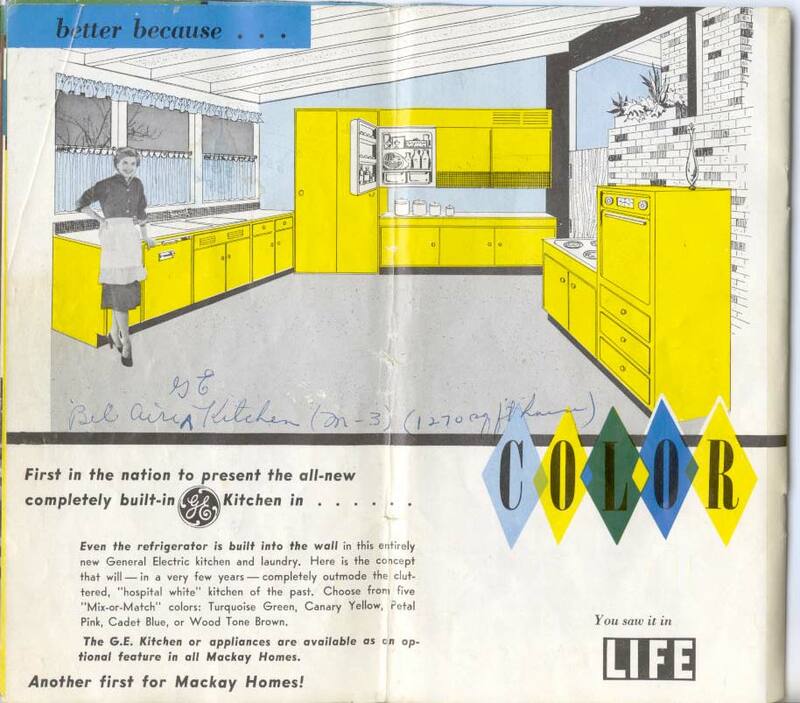 Cities needed a way to provide affordable, budget-friendly housing to families in response to the population boom after the war. The Jobs family was one of them. 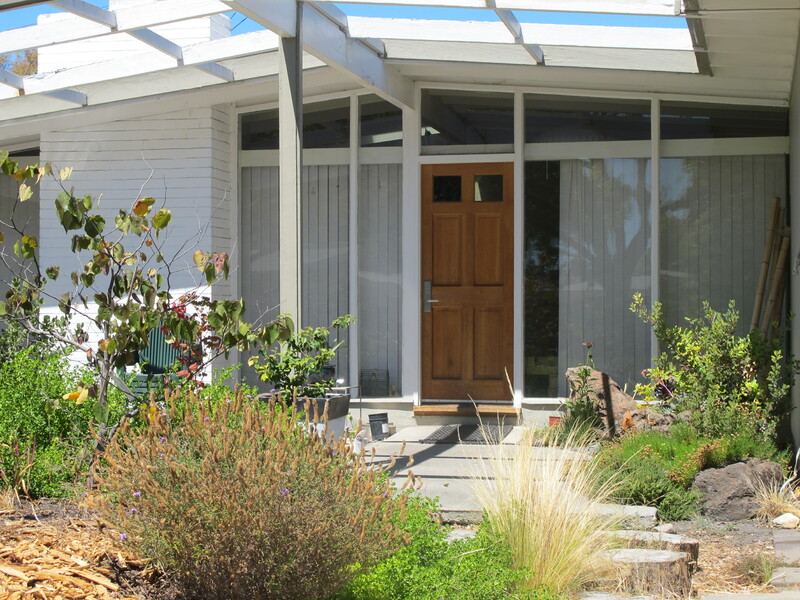 In Jobs’ biography, author Walter Isaacson reveals that Jobs grew up in an Eichler and was heavily influenced by his home’s aesthetics and design. 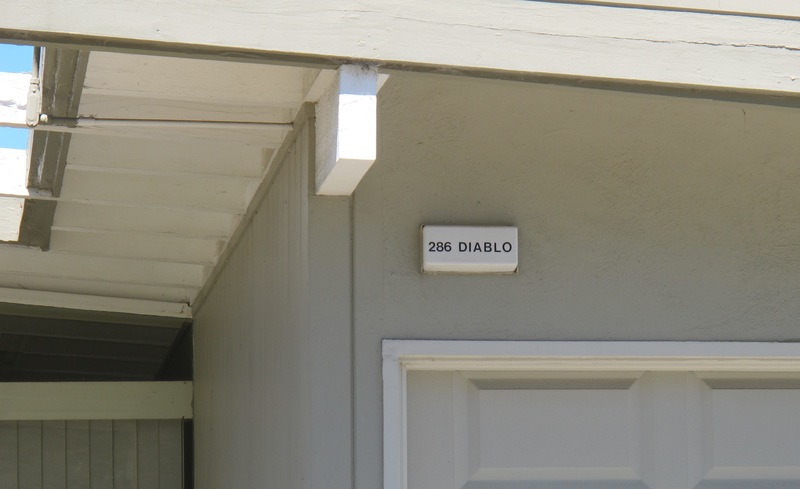 The release of his biography sparked renewed interest in Eichler homes, as evidenced by the explosion of coverage the story received on the Internet, like this blog post. Even the Smithsonian weighed in with an in-depth article. 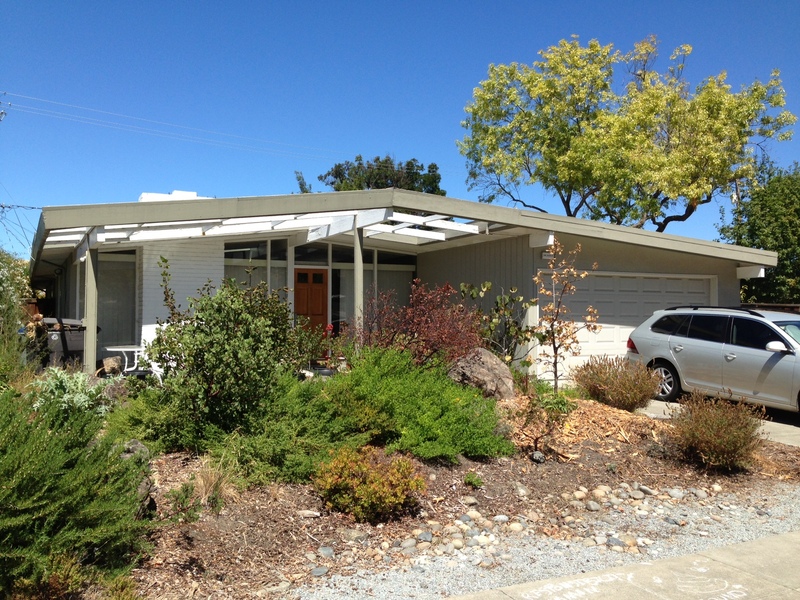 Much to the world’s surprise, the house turned out to be one that was developed by Eichler’s rival, John Mackay. Excuse me, who?!? 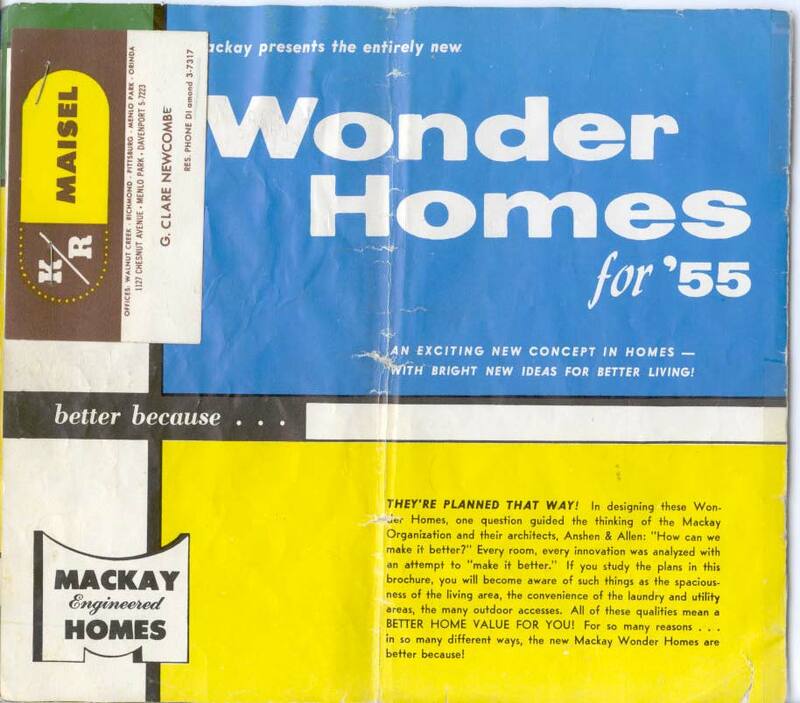 Like Eichler, Mackay was a real estate developer during the 50’s and 60’s who made his mark in several planned communities around Mountain View and Sunnyvale. 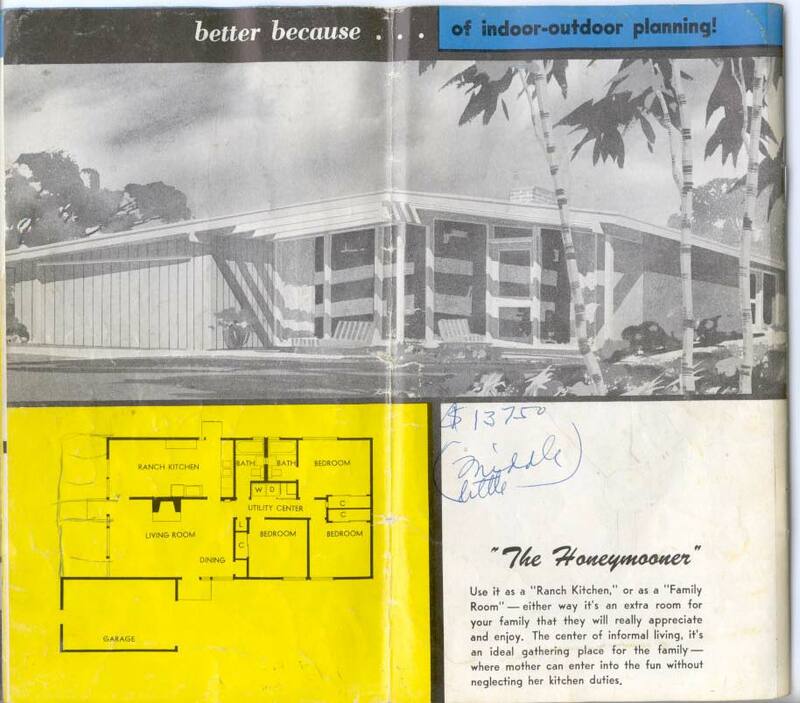 Here’s the original brochure showing a drawing of the Mackay model that is the home of the Jobs family, flipped (I love these old documents). This startling news was confirmed by several real estate experts and Eichler’s son himself, upon seeing a photo of the house. 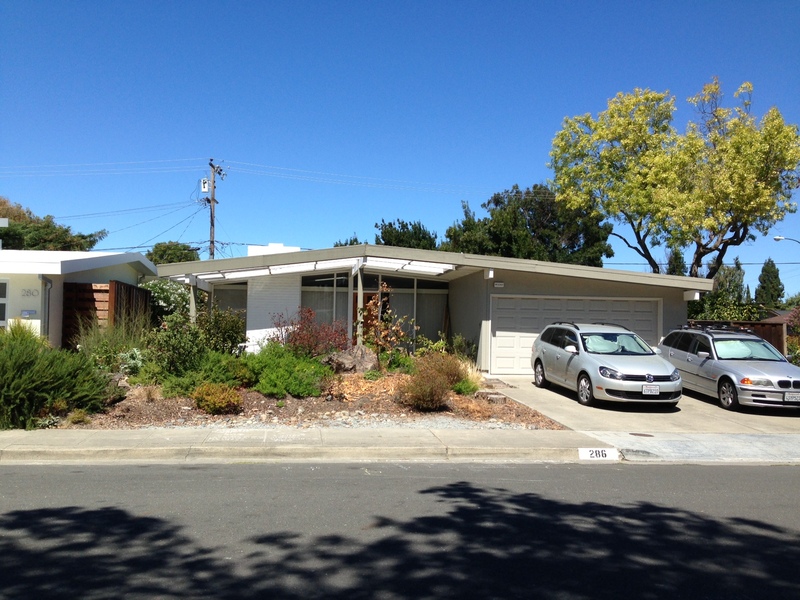 I’ve made references to the common misconception about Eichler before: Joe Eichler was a developer and not an architect. 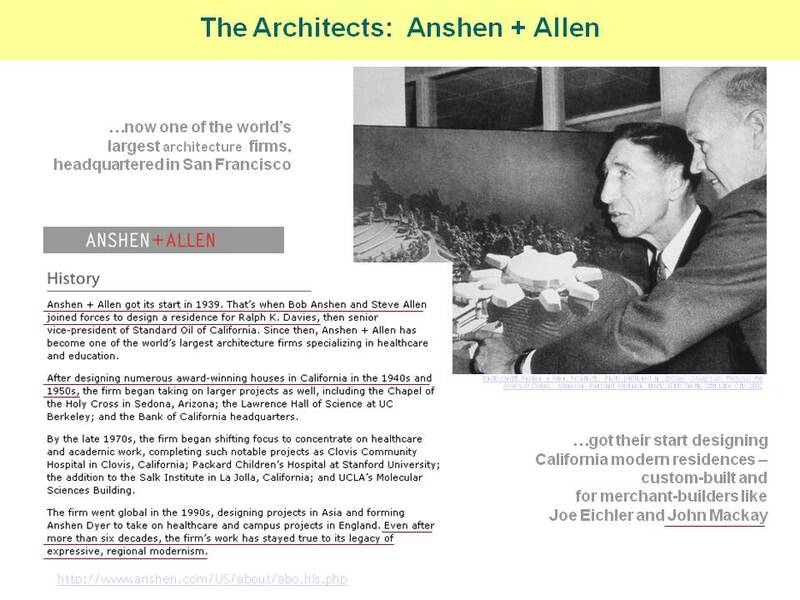 He and Mackay pretty much dominated Monta Loma, but the design work for both developers was commissioned to architectural firm Anshen & Allen, which still operates in San Francisco today. 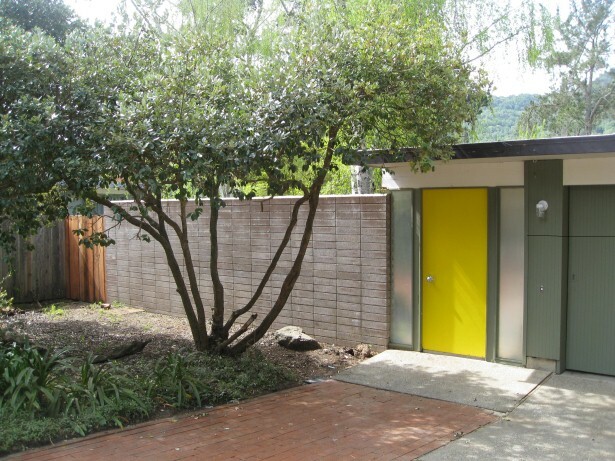 It’s easy to confuse an Eichler with a Mackay because the same firm was used by both developers to design their homes. I wanted to include a photo of my brother’s Mackay, but it’s currently camera-shy due to an extensive remodel. 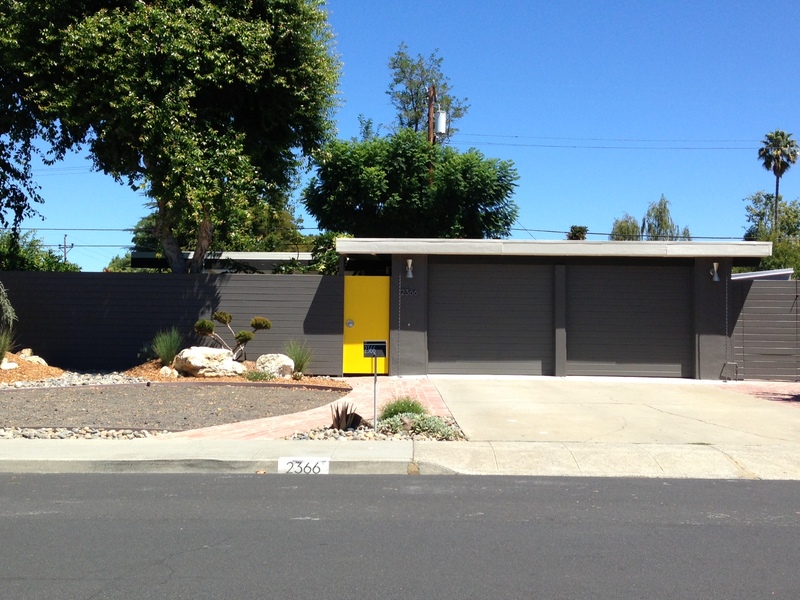 Here’s a house that’s an identical model just down the street from his (hot alert: yellow and grey color combo)….. 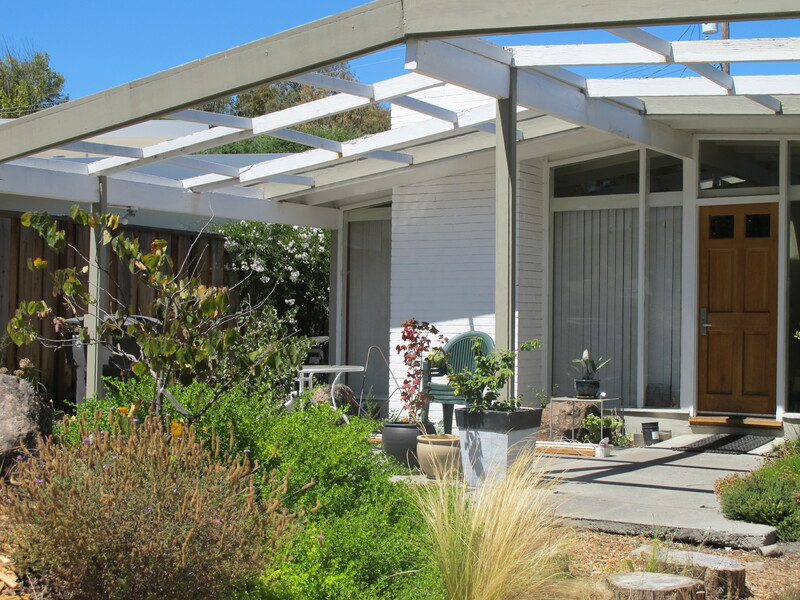 There are definitely more Eichler homes in California and he became the better-known developer, but I have to confess my attraction to Mackay homes for similar reasons (I’m the one who roots for the underdog). Here’s a closer look at the Jobs house. Floor to ceiling windows are a common feature of Mackays and Eichlers…..
…..as are front courtyards. In this case, the courtyard is exposed. I came close to buying this one a few years ago. It’s the same model as the Jobs house (flipped) and located on the next street over (it didn’t have the white picket fence when I was interested in buying it…why? WHY?). If you look at the characteristics of these homes, it’s easy to make the connection to Jobs’ creations at Apple during its start. And no one can argue against that. Special thanks to Mackay specialist Eric Boyenga for helping me with my research. I appreciate it! The walls are an interesting touch. Very Japanese in a way, privacy from the street, garden inside, and the windows give that outside-to-inside transition. Love the colorful doors. Your comment made me laugh. Talk about geeking out! 😉 Please let me know how your investigation goes. And I would PAY to have you contact Tim Cook or Woz about the GR deficiencies in Apple products! Thanks for reading and commenting, Rod! The iPad screen ratio is about 1.3:1. The mini is 1.49:1. Turns out the garage door is roughly 1.5:1 (very close to the mini). The GR is about 1.62:1, and the iconic garage floor plan is 1.64:1, and the front windows about 1.67:1. So the architect was closer to the GR. Thank you! They aren’t for everyone, but I love their clean lines and simplicity. Thanks for the comment! Just wish to say your article is as astonishing. The clearness in your publish is just cool and i can assume you are a professional in this subject. up to date with impending post. Thanks a million and please continue the gratifying work.